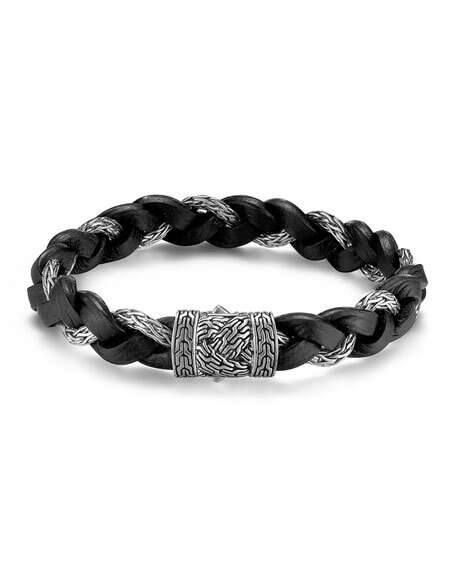 John Hardy men's Classic Chain bracelet. Sterling silver and woven leather cord; 11mm. Brace Humanity men's wrap bracelet. Braided napa leather cord. Silver-plated hook closure. 15"L x 0.25"W. Made in USA.